Works Great on any surface! 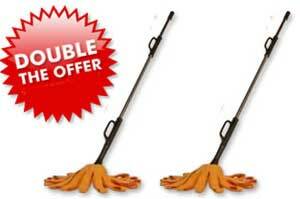 Cleans hard to reach areas! I have been using this mop for about ten years. It took a little bit of practice to be able to twirl it around so I could wring out the water but after I mastered that this became my favorite mop ever. Over the years I have had to order several new heads and I like that they can be washed in the washing machine. This mop is easy to handle and the added bonus is that you can wipe the woodwork/baseboard while you are moping the floor. 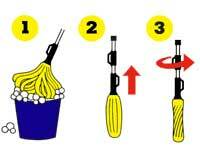 I will NEVER use any thing else and believe me I bought numerous mops before I found the Smart Mop.